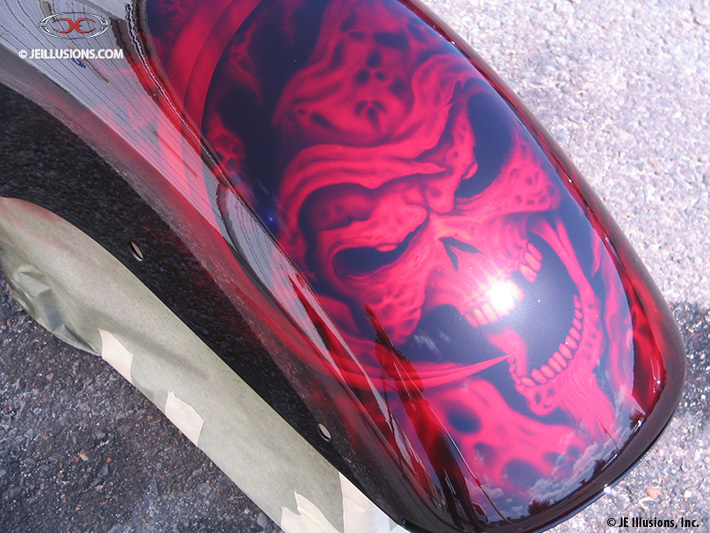 Reapers, graveyards and ghouls make up this custom paint design. 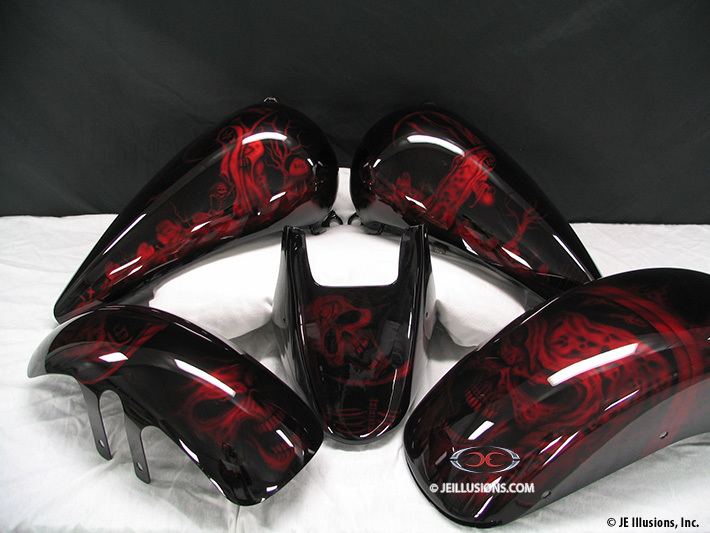 The under-base is a high gloss Jet Black. 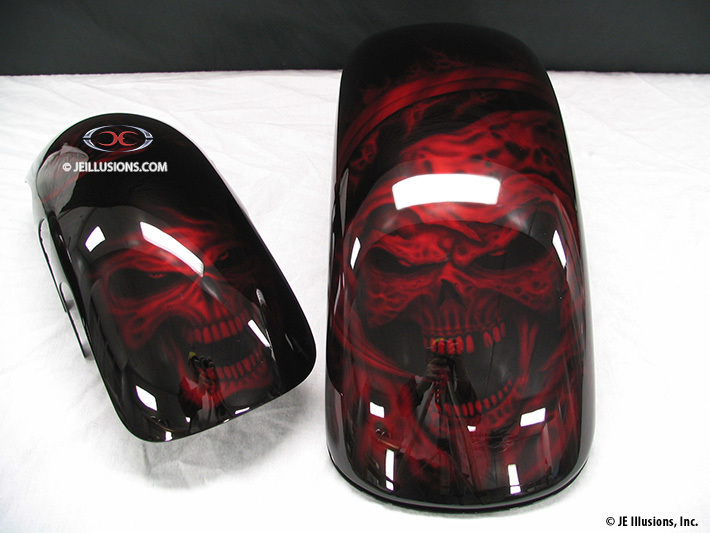 On top of this is a deep Red, airbrushed mural of Reapers and skeletons on the tank designs and ghoulish skulls on the fenders.